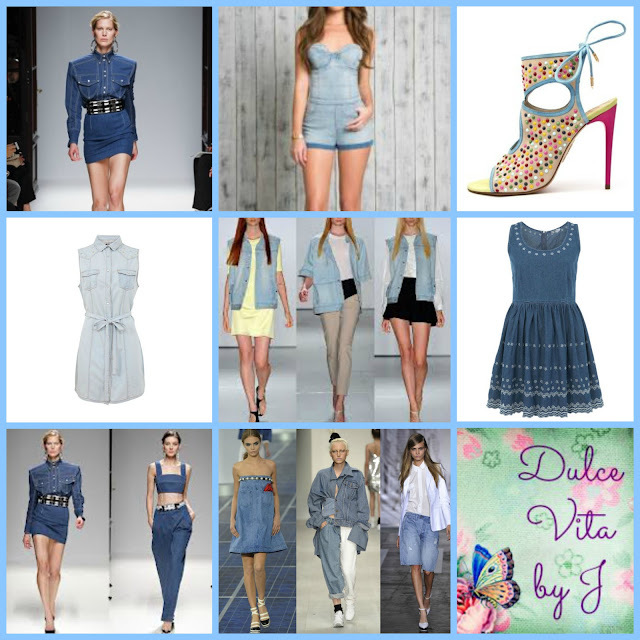 Trendy Tuesday: Denim Mania for Spring Summer '13! So this might be my last blog post until next week. I am off to Vegas for Easter break this Thursday and I can't wait. London has been so bitterly cold the past few weeks, hard to believe its almost April! Anyways I am in desperate need of some sublime sunshine and I'm hoping to get some good colour while I'm away. I've never been to Vegas so really excited to check it all out - and I'll update you all with a blog post when I return! 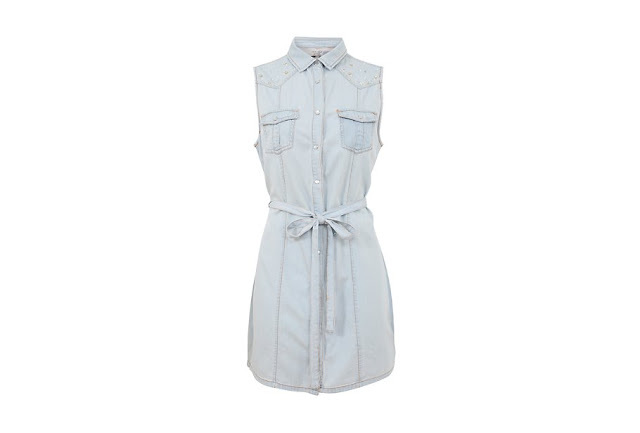 Anyways its Trendy Tuesday so I wanted to talk about another major trend for this upcoming Spring Summer season - Denim! It's been spotted all over the catwalk and in all the high street stores. I picked up this gorgeous denim tunic with jeweled shoulder detailing with from New Look and I can't wait to rock it while I'm on holiday. Denim doesn't have to be bulky and boyish; there are so many styles and looks to it that you can find something that suits your look.